Missed that on the first pass. 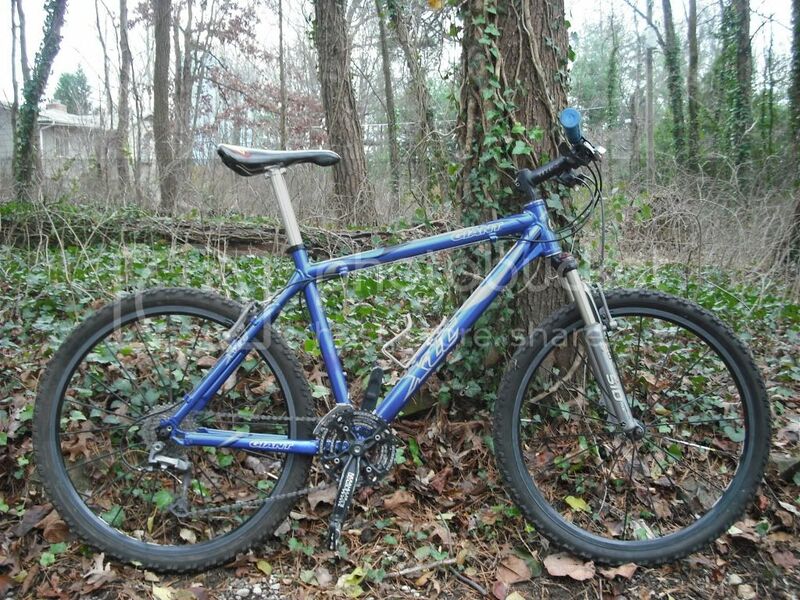 Been lookin' for a mtb. Found this on CL for $325. it's a blast. WOOD GRAIN GRIPIN, sweet bike. Dude that is TOTALLY AWESOME!!!!!!!!!! Been riding this one for a good amount of this year. 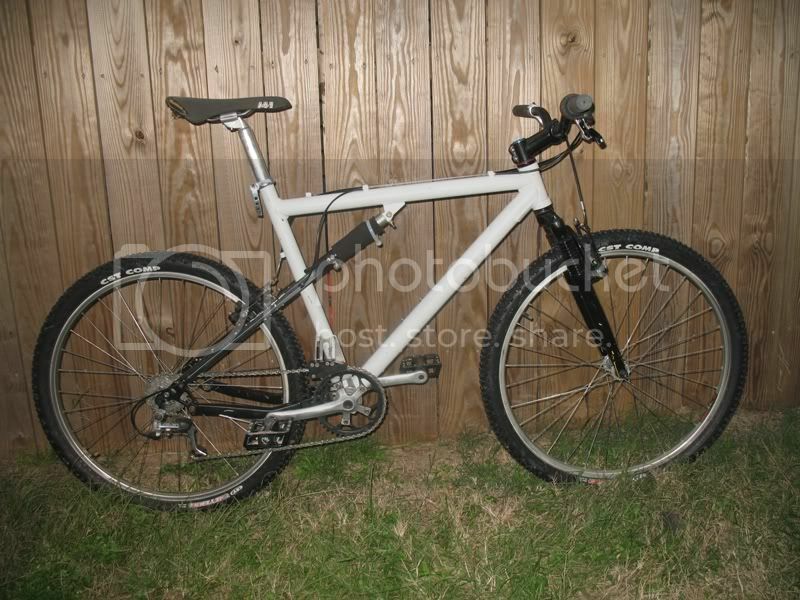 Just built this one this past week for bad weather, like snow and rain also, because I miss riding rigid. I'm picking this up on Sunday. 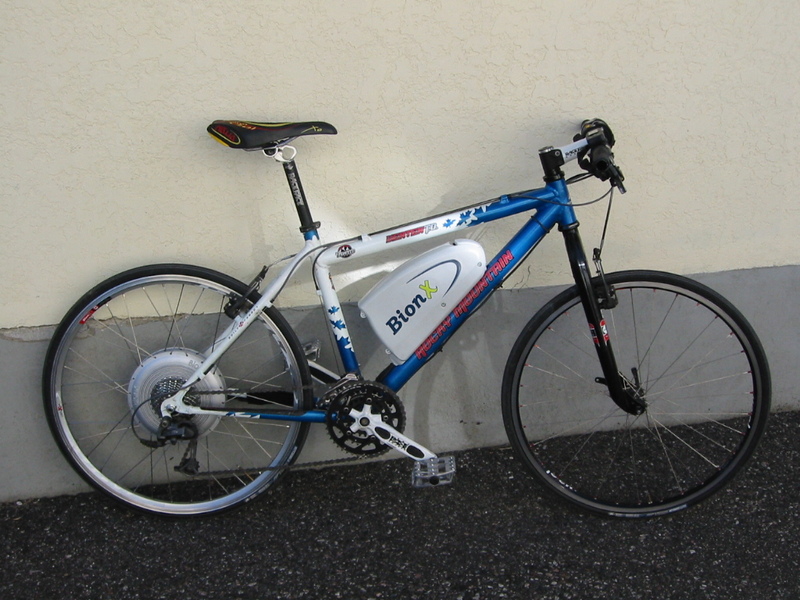 2004 Giant XTC NRS 1. I need to do a bit of work on it. It needs new chainrings, chain, cassette and wheels, but I'm just going to part out my old Apollo to get this one running again. More pics will come when I get it completed. 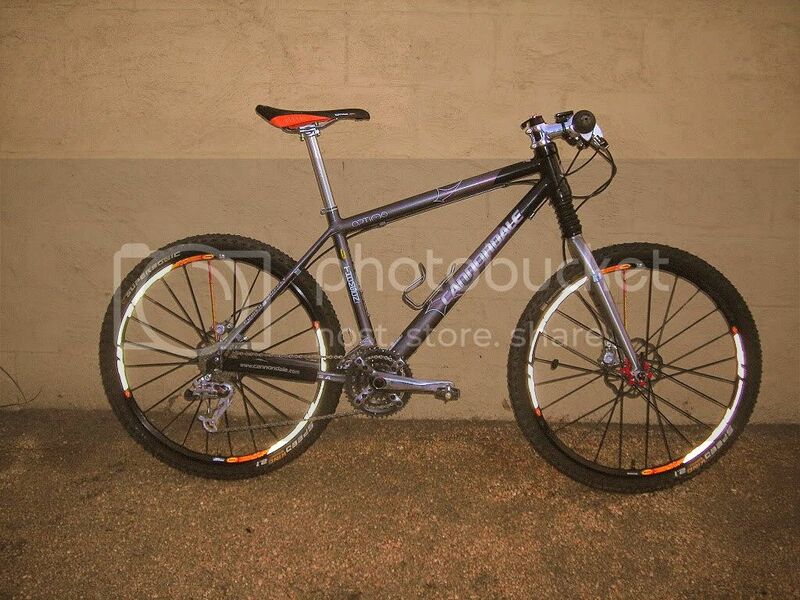 sharp cannondale, I have always had a thing for c'dales. 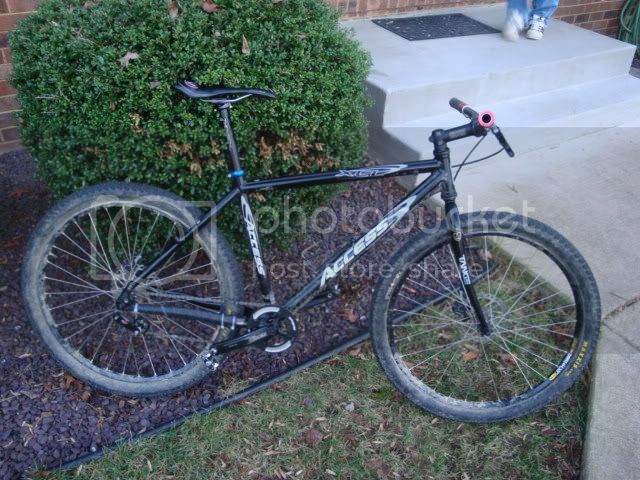 My new rig, a 2004 Giant XTC NRS 1. 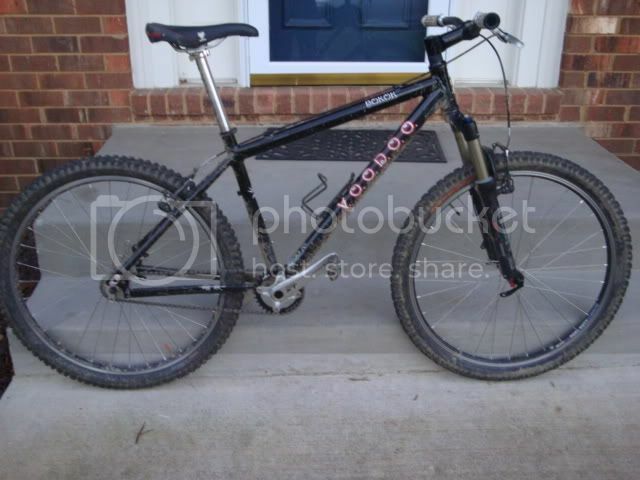 Just needs a chain, saddle, and a front brake bleed, and it's ready to go! My new bike... 2010 Scott Scale 29er! I love it! Been riding around on this for 2 months or so. Sold my BMC Fourstroke because I just didn't need it for the trails around here. HT 29'r made way more sense. Picked up the frame + seatpost + FD on Ebay last year to replace my '01 Giant Rainier after buying an older road bike and quickly deciding that I would be well served by a steel mountain bike. the green is awesome. well done. hit the dirt today on the new wheelset.